SAVE THOUSANDS IN BOISE, IDAHO. LOWEST PRICES IN THE NORTHWEST!This Ram 2500 boasts a Regular Unleaded V-8 5.7 L/345 engine powering this Automatic tr… ansmission. WHEELS: 18 X 8.0 STEEL CHROME CLAD, TRANSMISSION: 6-SPEED AUTOMATIC (66RFE) (STD), TRANSFER CASE SKID PLATE SHIELD. 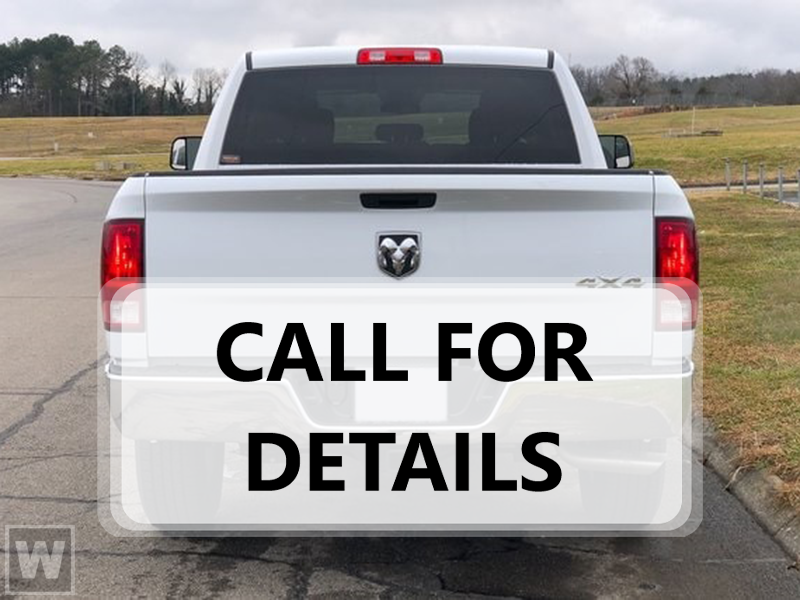 * This Ram 2500 Features the Following Options *QUICK ORDER PACKAGE 26A TRADESMAN -inc: Engine: 5.7L V8 HEMI VVT, Transmission: 6-Speed Automatic (66RFE), Front Armrest w/Cupholders, OFF ROAD PACKAGE -inc: Front Performance Tuned Shock Absorbers, Offroad Decal, Black Wheel Flares, Transfer Case Skid Plate Shield, Tow Hooks, Rear Performance Tuned Shock Absorbers , TIRES: LT275/70R18E OWL ON/OFF ROAD, SIRIUSXM SATELLITE RADIO -inc: For More Info, Call 800-643-2112, 1-Yr SIRIUSXM Radio Service, REMOTE KEYLESS ENTRY, RADIO: UCONNECT 3 W/5 DISPLAY -inc: 5.0 Touchscreen Display, Overhead Console, Rear View Day/Night Mirror, GPS Antenna Input, Temperature & Compass Gauge, Integrated Voice Command w/Bluetooth, Charge Only Remote USB Port, SiriusXM Satellite Radio, For More Info, Call 800-643-2112, 1-Yr SiriusXM Radio Service, POWER BLACK TRAILER TOW MIRRORS -inc: Trailer Tow Mirrors, Exterior Mirrors Courtesy Lamps, Exterior Mirrors w/Supplemental Signals, POPULAR EQUIPMENT GROUP -inc: Remote Keyless Entry, Carpet Floor Covering, Front & Rear Floor Mats, SiriusXM Satellite Radio, For More Info, Call 800-643-2112, 1-Yr SiriusXM Radio Service, PARKSENSE REAR PARK ASSIST SYSTEM, LED BED LIGHTING. * Stop By Today *Stop by Larry H Miller Chrysler Dodge Jeep Boise located at 222 Auto Dr, Boise, ID 83709 for a quick visit and a great vehicle!